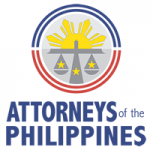 What Happens To The SSS Death Benefit When The Primary Beneficiary Remarries? A spouse who is the primary beneficiary of a deceased member is entitled to death benefit if two qualifying factors are established: 1) that he/she is the legitimate spouse; and 2) that he/she is dependent upon the member for support. What if the spouse remarries? Will he/she still be entitled to the same benefits? As specified under Sections 8 and 13 of the Republic Act No. 1161, as amended otherwise known as Social Security (SS) Law, "Upon the covered employee's death, his primary beneficiaries shall be entitled to the monthly pension and his dependents to the dependents' pension: Provided, That he has paid at least thirty-six monthly contributions prior to the semester of death: Provided, further, That if the foregoing condition is not satisfied his primary beneficiaries shall be entitled to a lump sum benefit equivalent to thirty-five times the monthly pension: Provided, further, That if he has no primary beneficiaries, his secondary beneficiaries shall be entitled to a lump sum benefit equivalent to twenty times the monthly pension: Provided, however, That the minimum death benefit shall not be less than the total contributions paid by him and his employer on his behalf nor less than one thousand pesos: Provided, finally, That the beneficiaries of the covered employee who dies without having paid at least three monthly contributions shall be entitled to the minimum benefit. (As amended by Sec. 5, P.D. No. 1202, S-1977 and Sec. 8, P.D. No. 1636, S-1979)"
On August 5, 2002, respondent Teresa G. Favila (Teresa) filed a Petition6 before petitioner SSC docketed as SSC Case No. 8-15348-02. She averred therein that after she was married to Florante Favila (Florante) on January 17, 1970, the latter designated her as the sole beneficiary in the E-1 Form he submitted before petitioner Social Security System (SSS), Quezon City Branch on June 30, 1970. When they begot their children Jofel, Floresa and Florante II, her husband likewise designated each one of them as beneficiaries. Teresa further averred that when Florante died on February 1, 1997, his pension benefits under the SSS were given to their only minor child at that time, Florante II, but only until his emancipation at age 21. Believing that as the surviving legal wife she is likewise entitled to receive Florante’s pension benefits, Teresa subsequently filed her claim for said benefits before the SSS. The SSS, however, denied the claim in a letter dated January 31, 2002, hence, the petition. In a Resolution11 dated June 4, 2003, SSC held that the surviving spouse’s entitlement to an SSS member’s death benefits is dependent on two factors which must concur at the time of the latter’s death, to wit: (1) legality of the marital relationship; and (2) dependency for support. As to dependency for support, the SSC opined that same is affected by factors such as separation de facto of the spouses, marital infidelity and such other grounds sufficient to disinherit a spouse under the law. Thus, although Teresa is the legal spouse and one of Florante’s designated beneficiaries, the SSC ruled that she is disqualified from claiming the death benefits because she was deemed not dependent for support from Florante due to marital infidelity. Under Section 8(k) of the SS Law, the dependent spouse until she remarries is entitled to death benefits as a primary beneficiary, together with the deceased member’s legitimate minor children. According to SSC, the word "remarry" under said provision has been interpreted as to include a spouse who cohabits with a person other than his/her deceased spouse or is in an illicit relationship. This is for the reason that no support is due to such a spouse and to allow him/her to enjoy the member’s death benefits would be tantamount to circumvention of the law. Even if a spouse did not cohabit with another, SSC went on to state that for purposes of the SS Law, it is sufficient that the separation in-fact of the spouses was precipitated by an adulterous act since the actual absence of support from the member is evident from such separation. Notable in this case is that while Teresa denied having remarried or cohabited with another man, she did not, however, deny her having an adulterous relationship. SSC therefore concluded that Teresa was not dependent upon Florante for support and consequently disqualified her from enjoying her husband’s death benefits. SSC further held that Teresa did not timely contest her non-entitlement to the award of benefits. It was only when Florante II’s pension was stopped that she deemed it wise to file her claim. For SSC, Teresa’s long silence led SSS to believe that she really suffered from a disqualification as a beneficiary, otherwise she would have immediately protested her non-entitlement. It thus opined that Teresa is now estopped from claiming the benefits. Hence, SSC dismissed the petition for lack of merit.